"Stories have no beginning and no end, only doors through which one may enter them. A story is an endless labyrinth of words, images, and spirits, conjured up to show us the invisible truth about ourselves. A story is, after all, a conversation between the narrator and the reader, and just as narrators can only relate as far as their ability will permit, so too readers can only read as far as what is already written in their souls." Many more of these passages await if you to choose to enter the labyrinth of Carlos Ruiz Zafon's quartet of novels, "The Cemetery of Forgotten Books." The English version of the fourth and final entry, "Labyrinth of the Spirits," has just been released to worldwide acclaim. For years, my favorite novel has been the unabridged "Count of Monte Cristo," but no more. It has been eclipsed by "Labyrinth..." and, collectively, these four books make up the greatest story I've ever read. Never in my life have I read a story so "rich" in everything you want in a good story: intrigue, romance, mystery, adventure, history and every range of emotion imaginable. In its most general terms it is a tale of the Sempere family, booksellers in Barcelona still shattered by the Spanish Civil War. 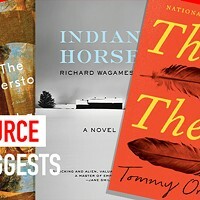 Each novel stands alone (the author says they can be read in any order) but when read together, the sublime connections between characters and plot threads take the quartet to a level rarely reached by any author. If you've read any of the others in the series, including the much-loved "Shadow of the Wind," this one is even better. If this is your first time with these books, I am truly jealous of the reading experience you are about to have.